Why invest in a flooring project? A new floor enhances lighting, appearance, and production. By improving or maintaining your facility, you communicate to employees and visitors that your company is quality-oriented. Why choose PREFERRED GLOBAL? Because our company has been setting the standard in industrial maintenance since 1972. To achieve these standards, we hire the best technicians. Their experience, knowledge, and ongoing training go to work for you in interpreting your needs and installing the floor that best meets those needs. Anti-static flooring protects sensitive electronic equipment and employees from an electrostatic discharge. This conductive flooring dissipates static charges that accumulate from a person’s movement across a polymer floor. Anti-static flooring can help prevent fires and explosions, reducing the risk of injury to employees or damage to equipment. Double broadcast acrylic paint flake systems offer a slip-protected, texture-colored floor that looks similar to granite or stone. There are four layers in this flooring system: the base coat, two flake applications and top coat. The double broadcast will cover up any imperfections from a single broadcast floor, leaving customers with a decorative and appealing floor surface. Electro-static dissipative (ESD) floors are useful in electronic and high-technology industries to mitigate static electricity. An ESD floor is composed of many layers, helping maintain electrical properties. The ESD layers consist of a base sealant, static dissipative tile (SDT) product construction/wear layer, copper grounding strips, SDT adhesive, and static dissipative top coat polish. ESD flooring increases safety and prevents damage to technology equipment. 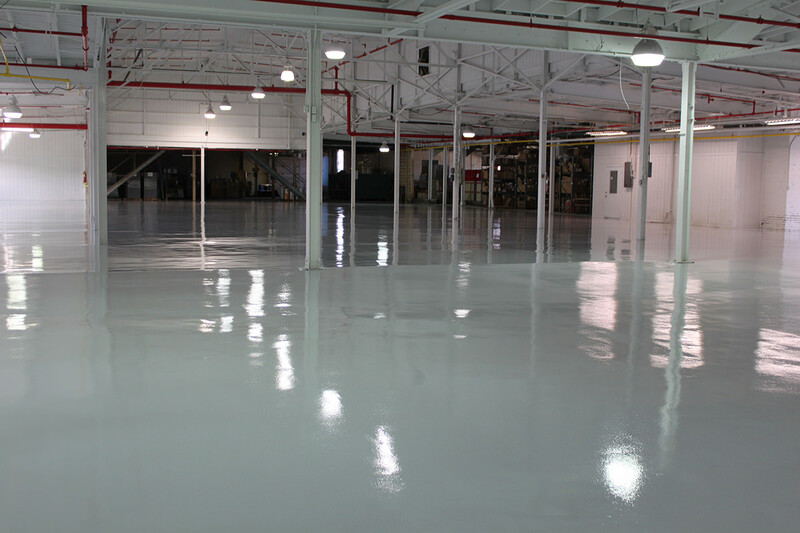 Epoxy flooring systems are formed from a combination of resins and hardeners. When composed together, the resin and hardener chemically react to form a rigid plastic material. This floor works as a great base layer because of its durable and resistant character. 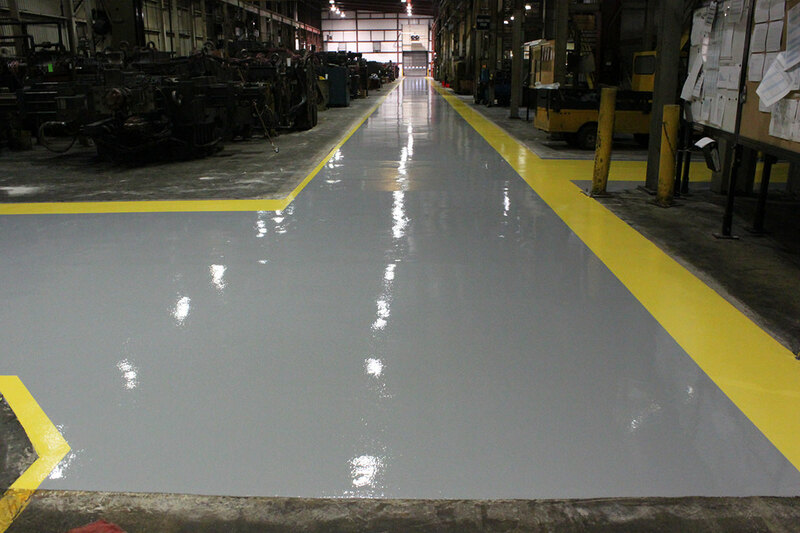 Epoxy flooring systems are extremely durable and help prevent wear and tear in high-traffic areas or from heavy machinery. These easy-to-clean floors are seamless, keeping mold and other substances from entering cracks. 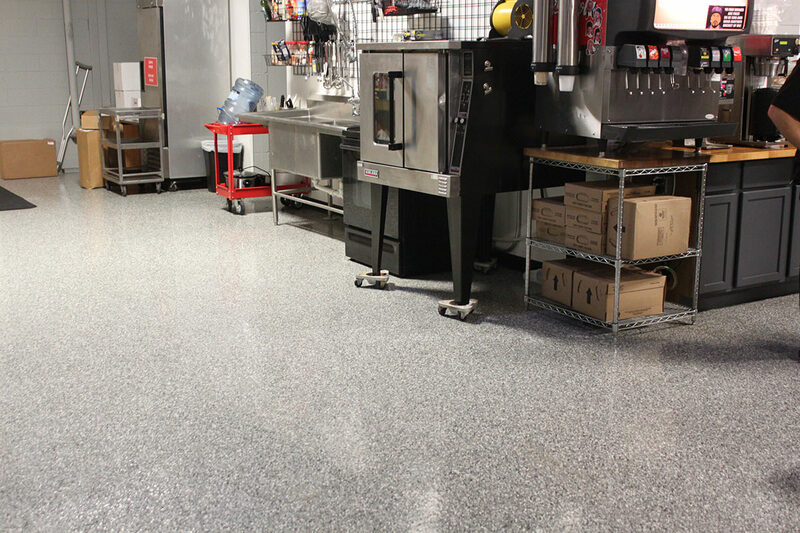 The decorative epoxy floor coating allows for a variety of color options. 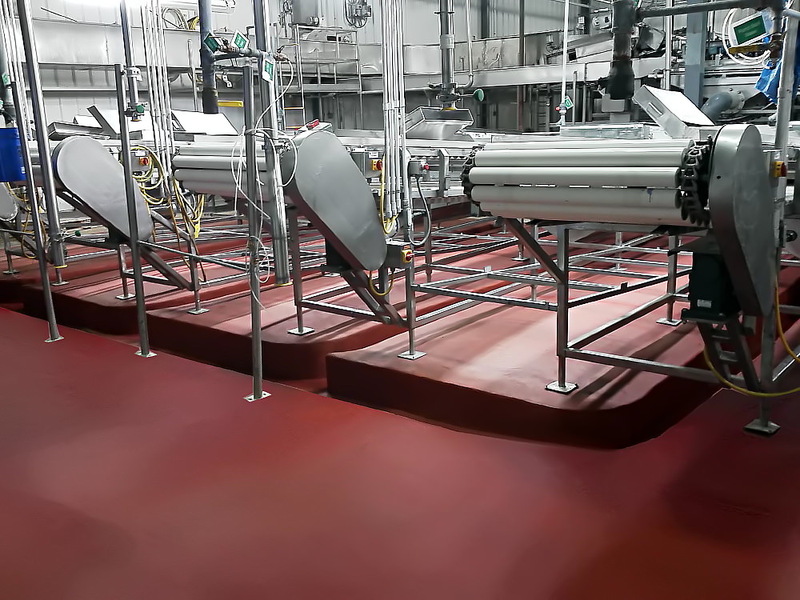 Chemical-resistant flooring systems extend the life of your floors by providing protection from acids, alkalis, solvents, and other corrosive elements. 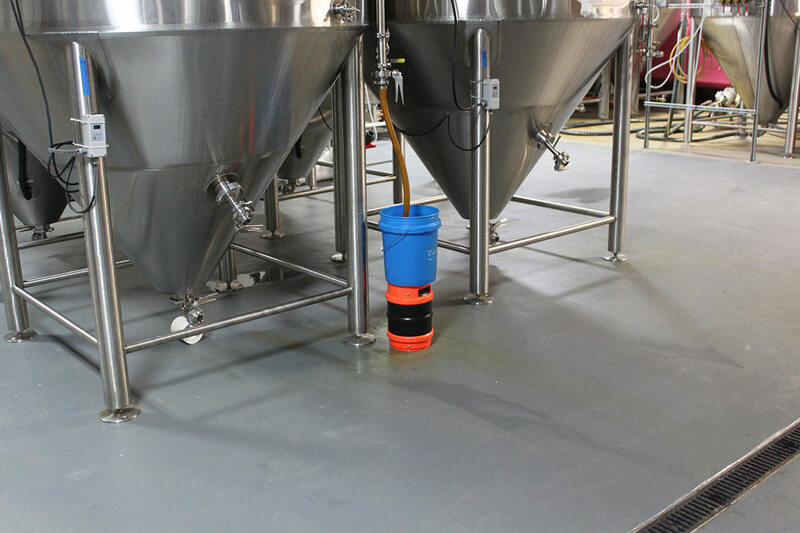 Floors that are not properly protected can deteriorate quickly, create dangerous work environments, and even allow hazardous liquids to penetrate into ground water. Installing chemical-resistant flooring will help prevent damage to your floors, saving you both time and money. Moisture mitigation flooring systems reduce the moisture vapor transmission levels. Moisture issues are one of the most common construction problems flooring systems face today. Typically, symptoms of high moisture levels in flooring include blistering, bubbles, scaling, cracks, or mold. These can be very hazardous to your employees and put them at risk of tripping and falling. 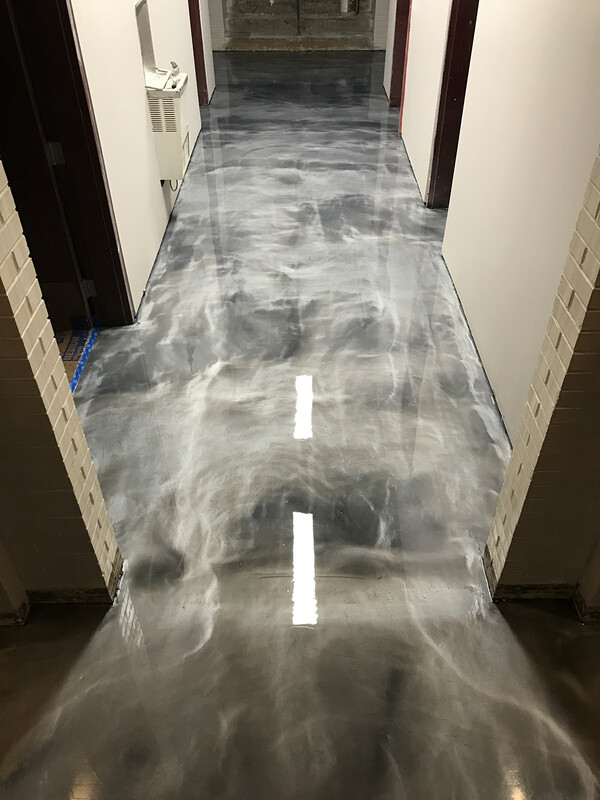 As a defense against these hazards, a moisture mitigation system limits the movement of water vapor into the flooring system. In order to properly and safely operate in an industrial facility, line striping is critical for efficient and safe workflow. Painting lines on your floor creates an orderly and safe workspace. Line striping can be used to distinguish walking aisles, equipment locations, safety zones, and heavy equipment tracks. Line striping can lower the business’s chance of having an injury on the job site, keeping your workers safe. Quartz flooring systems are a durable coating solution with extreme abrasion resistance and a rough texture that acts as a slip-resistant flooring. This floor conforms to all Occupational Safety and Health Administration (OSHA) slip requirements. There are many color and design options for quartz coating. The quartz flooring system combines multi-colored aggregates permanently embedded in a tough and clear epoxy flooring system. Reflexions flooring systems are a decorative epoxy resin system with pigment effects that produce a unique and aesthetically appealing look. This system is made of an epoxy primer, a pigmented epoxy body coat, and a urethane topcoat gloss. A reflexions flooring system is chemical resistant, slip resistant, and suitable for high-traffic areas. The flooring is crack, cut and damage resistant. Resinous flooring is created by applying a resinous base to concrete. 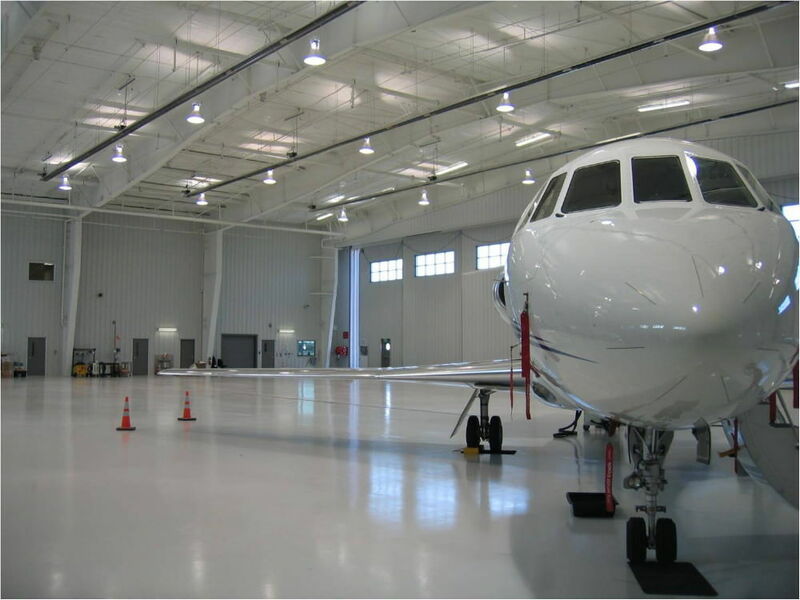 This type of flooring is often times synonymous with epoxy, polymer, or poured flooring. 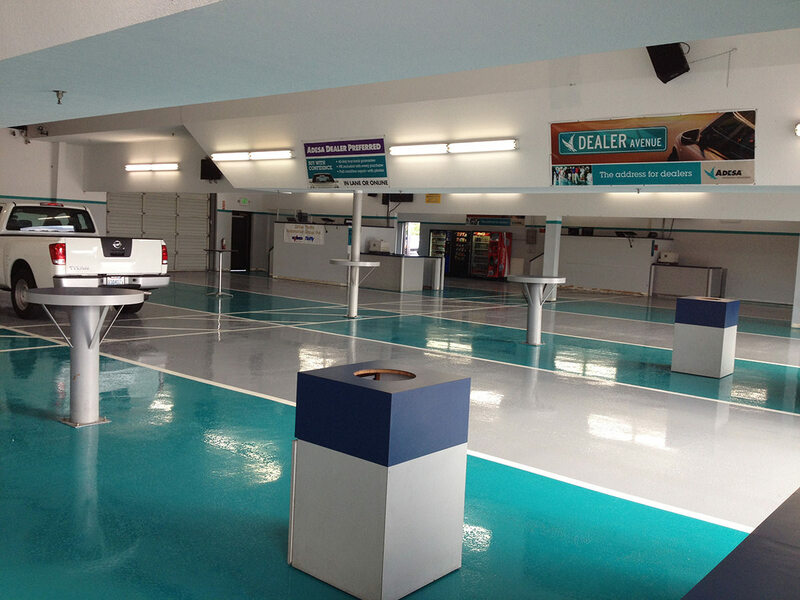 Resinous flooring consists of a strategic cast of materials mixed together to provide durability. 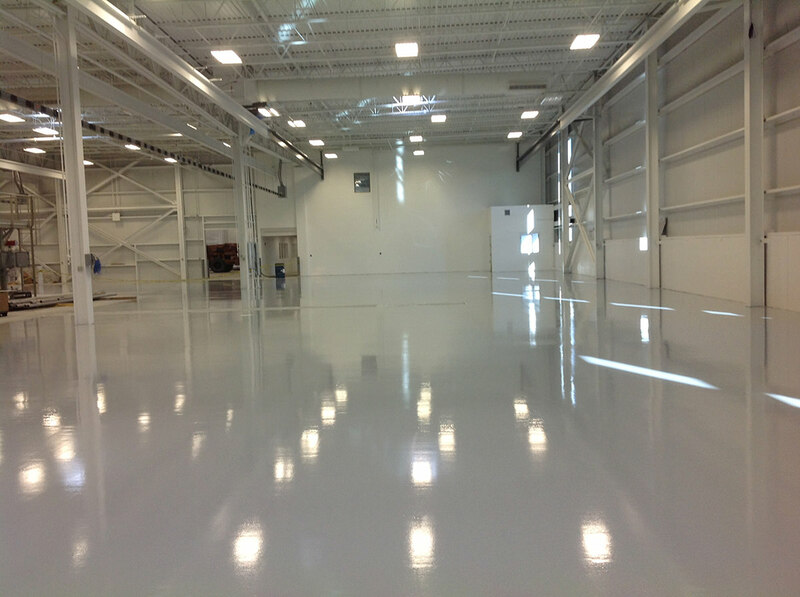 The three materials typically used in resinous flooring are epoxy, polyurethane polymers, and acrylic resins. Resinous flooring is chemical resistant. A variety of colors and designs are available. A layer of steel reinforcement is commonly used with concrete to assist in controlling cracks in the concrete due to shrinkage. Steel reinforced concrete does not prevent cracks; but when a crack occurs, it will control the crack from expanding. Thermal shock flooring systems are built to withhold extreme temperature changes, increasing the lifetime of the floor. Effects of thermal shock can lead to cracks, bubbling, peeling, and delamination. 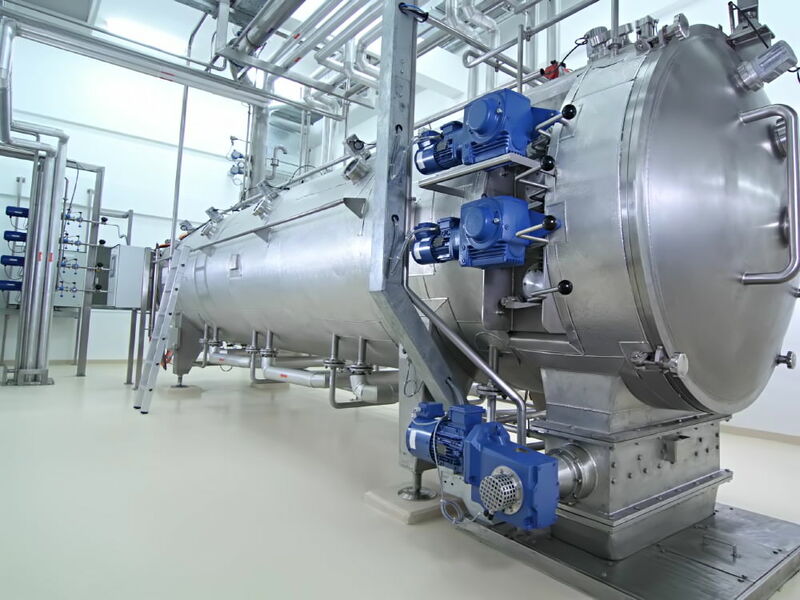 This type of industrial flooring system is beneficial in environments where processing, equipment, and cleaning create fluctuations in temperature. 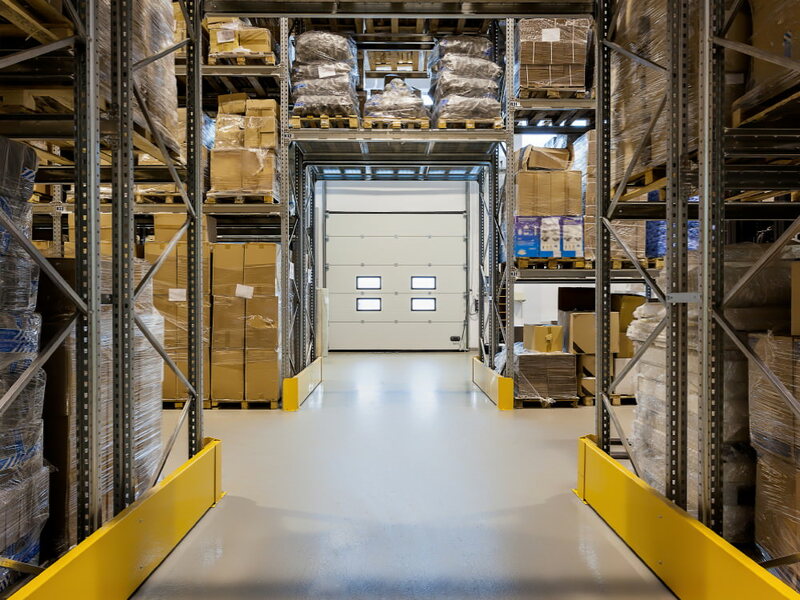 Historically, urethane flooring has been one of the most used industrial flooring solutions in buildings due to its flexibility and durability in harsh environments. The extra level of abrasion resistance will keep your floors glossy and looking new even if exposed to harsh conditions. Urethane cement and coating systems can be used alone or with other coatings and decorative toppings.